definitely this thing will becomes the real of unforgettable experience for your vacation, right? And such of those satisfaction certainly will be the most wanted travel dream by most traveler, because they will be able to discover the truly unique paradise of Bali island. In addition, talking about Bali is indeed really undoubtedly as a paradise island predicate owned, has made this island of gods is as a spotlight top-ranked holiday destination to many tourist. With its plenty interesting tourism objects contained also scattered almost in a whole part from the island which has a nick name as an island with thousand temples. Starting from Kuta tourist places with its exotic beach waves, proven able to attract many surfers from all over the world that made all surfers really curious to try it. 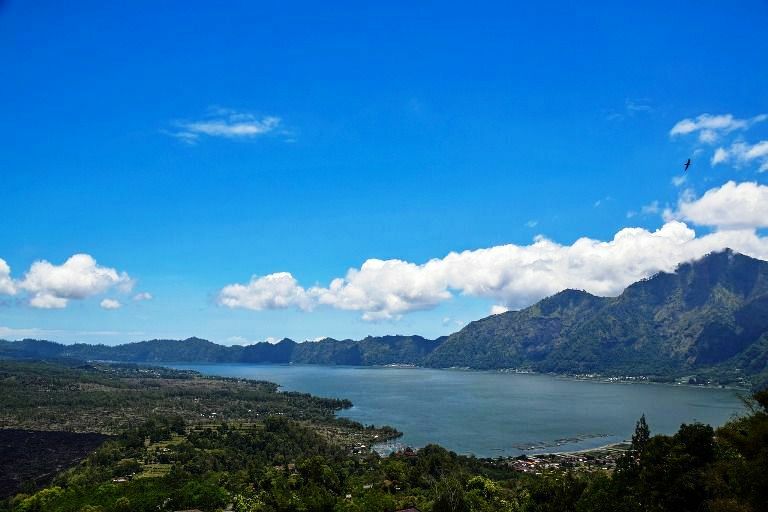 Then spectacular scenery of mountains and lake Batur has also able to anesthetize many travelers from abroad. Until the beauty of rice fields terraces and uniqueness of Balinese traditional cultures, also able to satisfy everyone's heartfeelings when visiting the island of gods. given the various needs also extra preparation will be very necessary, when making a holiday visit to Bali laterly. This consideration is a serious matter that you have to think, so you need to prepare everything very carefully from the beginning. Of course you don't want your Bali holiday later to be an unpleasant experience, right?. Make sure first, wherever you will go for your holiday destination, we suggest you to have a mature plan, and this thing will really help you to be able to prepare everything very well. compared if you do a sudden holiday, without any clear planning beforehand. And this thing is not only related to the cost issues, but these will save a lot more energy, time as well as your mind. Because with its careful and clear planning, will certainly made everything more easier, effective and efficient in managing your vacation time. we recommend you to do and take a "Tour Package" that will be able for your other consideration. By taking travel packages, of course this will make it easier for you to get a planned and more practical vacation, especially if this is your first holiday trip (newbie traveler) to Bali island. In addition, nowdays there are many tour agents that offer a cheap tour packages with a wide selection of tourist destinations that you can choose. "How to find a tour organizer that truly able to provide a quality services with an affordable prices". For more detailed, please continue reading the explanations below. To compile a travel plan before doing a holiday program, indeed one thing that you have to do. Because so important, that's why we put this point into the first part. By holding a mature and clear plan, certainly will made your vacation much more easier and enjoyable. As for the plan referred here related about tour activities which will be chosen, it must be adjusted to your needs. moreover, you also have to know in advance what the program contents from kintamani volcano tour package is. If you don't know yet, please read first: "Easy way how to exploring Bali in itinerary one day tour Kintamani volcano"
So that by understanding all full-day tour itinerary Kintamani, surely you will get a clearly and accurate overview from all of these activities. And you can also discuss it in advance about all the programs from this tour itinerary. Bali travel guide: "11 easy tips to do full-day tours & half-day trips in Bali"
Bali Travel Guide: "How to Pick Best Tour Program on Your Need"
It is undeniable, with the development of tourism in Bali there are also many tour agents that provide tourism activities. 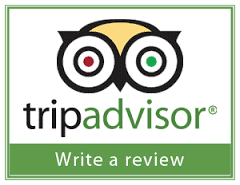 In addition to knowing tour service provider based on a review from Trip Advisor or also recommendations from friends that you must also pay attention of it carefully. So that laterly you will be able to entrust it to one of a trip organizer to arrange a holiday tours plan while in Bali. After you hold a mature and clear plan, then determine and pick which tour plan that suits on your needs. But here, we will presented to you only focus on a full-day sightseeing trip to visit Kintamani-Batur volcano. But if you want to find out other popular one-day tour program, please read: "Sorga Bali Tours sitemap". or "18 Most Popular Bali Tours Program". Regarding this 4th point, you need to know more detail about the price of cheap Kintamani tour package that we provide it to you. So by knowing all the tour rates as more detailed, certainly will make it easier for you to develop your next plan. BATUBULAN VILLAGE watching Barong & Keris Dance rates IDR. 100.000 per person. PURA GOA GAJAH visit Elephant Cave Temple charges IDR. 15.000 per head. PURA TIRTA EMPUL visit Bali Holy Springs Temple admission fee IDR. 15,000 per individu. 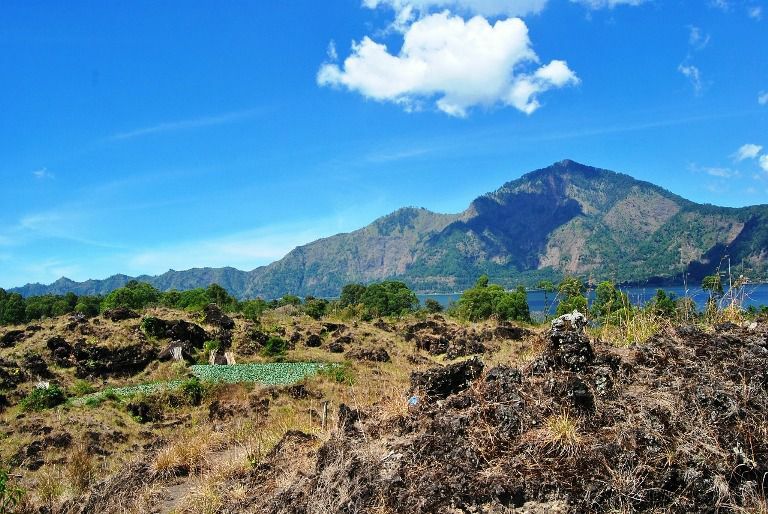 KINTAMANI VOLCANO tourist attraction with admittance ticket IDR. 30,000 per person. CEKING - TEGALLALANG visit rice-field terraces view price entry ticket IDR. 10,000 per head. 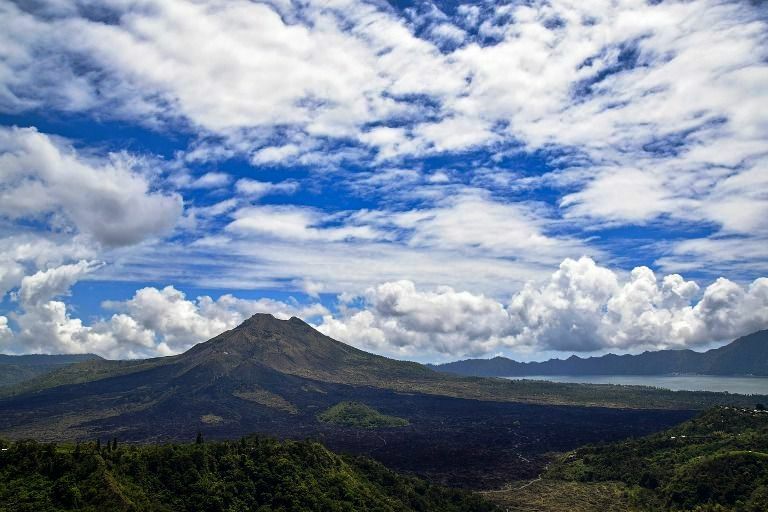 Regarding Kintamani volcano tour schedule, it will generally take around 7 to 8 hours or a maximum of 9 to 10 hours. Nusa Dua, Jimbaran, Sanur, Kuta, Legian, Seminyak, Canggu, Kerobokan, Denpasar City, Ngurah Rai Airport, Benoa Port and Ubud. are collections of the best travel plans, with top-rated programs offered. Finally, it comes also at the end explanation from "[Kintamani tour price] Cost full-day trip visit volcano-lake Batur Bali" from us. So, lastly how's your record?. Can't wait to bring your whole family on a Kintamani trip ?